Grade 400 more reviews or tips by clicking "Yes" or "No" in response to the question "Was this helpful?" This prequel to Dungeon Lords is very well done, and similar to its predecessor in theme and play, but manages to break away and be its own game. As with most of Vlaada’s games, Dungeon Petz is just too complex to describe fully without almost rewriting the rulebook. At its heart, it is worker placement, with disaster management each turn. The game is relatively quick paced after teaching-time, with each game running only 5 rounds. The only time AP might appear is during the disaster management phase…err…caring for your petz. This phase also determines attributes for your pet in the next 2 phases, Show judging and monster selling. The AP comes in where you have to weigh the decisions of how much bad stuff to deal with in order to score more points in the next 2 phases, and whether the points are worth the clean up in future rounds. Some decisions and rounds are easier than others, but there is little you can do to affect these criteria. The worker placement shopping competition is fun, but feels almost tagged on. There are limited spaces for your goblin workers, and worthwhile options run out fast. You can buy more cages and upgrades for them, more monsters, a little food that will rot eventually if not used, and a few time sinks or point manipulation actions, but the meat of the game is caring for the monster/petz. This game is not about building the engine, it’s about how you run what you have. I’d say if you enjoyed Dungeon Lords you should probably enjoy this game. If you are not as happy to jump into the worker placement chaos pool, I’d skip this one. I was surprised to find this game listed in “abstract strategy games.” I was introduced to this game at a convention as an Art Forgery game, and it totally makes sense. Why else would 2-4 players be competing for paints to recreate already famous works of art from different styles and eras? The ability to manipulate the publicly available paintings is obviously a mechanic simulating black market contacts. Trading paints among your fellow forgers… painters tips off your goals, and you can often scoop up contracts… err… paintings that others are about to complete. The board that comes in the game is completely useless, a giant waste of space that will be needed for the hexagonal colored dominoes that you need to generate paints. The set that I learned the game on had a set of small picture stands from a hobby store to place your private painting jobs on. Those definitely added to the set more than the board. One play and I was hooked. I already have my set of picture stands ready for my next game order. I loved the theme, Monster King-of-the-Hill slugfest. It was fast and easy to learn, and surprisingly tactical. Going into the city to compete for the easy Victory points is asking for some serious damage from every other player. I don’t care for player elimination games, especially with a light fun game like this. It is begging to be played with kids, despite the component problems. The Upgrade monster powers were the highlight of the game. There is almost no way to go through the deck in a single game, so each game will definitely see new content. I do wish the monsters has some starting differences, as it is easy to fall behind in energy buildup, never get an upgrade, and then a quick road to elimination. Components: The art on the monsters and upgrade cards was great, but the over-sized dice, while keeping with the giant monster theme, are terrible especially for small hands. I think this will keep this game from being an great family “gateway” game. Also some of the monster stands don’t fit the cardboard monsters. The monsters are pretty sturdy, but I’d sleeve the cards pretty quickly. I sincerely wish this game was more available in the US. I believe it could become the next great “gateway game.” The object of the game is to collect colored gems and contracts, then deliver them to the proper destination on the board for Victory points. Valdora is one of those simple-to-learn impossible-to-master games, and at first many gamers may turn their nose up at the theme. You are using limited actions to collect and deliver randomly placed color pieces to their proper homes. Along the way you must build up your inventory control and manipulate the goal collection services, all while racing your opponent who are doing the same. There are many strategies to Valdora: concentrating on certain colored contracts for endgame bonuses, only delivering the more complex and valuable contracts, quick points based on the free or most common resources. All valid strategies depending on what your opponents are doing. Competition, while mostly friendly, dictates what you can do and how much extra time or resources you will need for your chosen strategy. Holy **** at the hate on this thing. It’s a 5$ game that consists of the die and some rocks. really. That’s it. No secret TARDIS packaging. What did you think you were gonna get for 5$ in that totally see-thru package?!? Upset that it’s not the next Agricola? well, you’re about 65$ short on that expectation. It’s not designed to cure world hunger or simulate the dominance of Dutch traders in East India. C’mon, it’s a Steve Jackson game. The guy who brought you 37 flavors of munchkin, SPANC, and 4 different sizes of chibi-thulhu. It’s a seven minute king-of-the-hill party game for geeks, designed for something to do while your cousin Lenny remakes his GURPS character sheet….again. that’s all, end of review. Before I start the rant, let me state I LOVE the source material. I have every issue, trade, hardback, and the omnibus of this comic, and haven’t missed a live episode of the TV series yet. I bought the game blind, after reading the box that said there was new original artwork inside. Done. Sold. Gimmegimmegimmegimme. I know the series is totally built on the house of unpredictability that Kirkman built. That said, there is no frakking reason this game should be so random. Everything about this game is random. The object of the game is to scout three random locations and resolve their increasingly difficult random tasks, usually by suffering through the random event cards, which are resolved by rolling your giant dice pools. The most interesting mechanic of the game is that every time you move you leave a trail of (you guessed it) random numbers of zombies in your wake. So if you, or your opponents need to cross your path you have to fight the zombies with your giant dice pool. Tron Light-Cycles made of zombies…. pretty cool. Your giant dice pools are determined by the skills of the people in your party, your starting character and any followers you might come across (randomly) in events. Red fighter dice are more kills than actions or fails, green action dice are more actions than kills or fails, and blue balanced dice are even more random than the other two with balanced actions and kills and a wildcard. There are three resources you collect as you wander the board trying not to backtrack into your random zombie light-wall. You need to collect gas, which lets you move farther and can let you bypass the zombie train. You also need to collect Food which heals damage but only at the beginning of your turn… you know, before all the randomness happens. You will also need some Ammo which lets you roll the black die in combat, the only one which definitely kills 1-3 zombies, but oh yeah, also has a 50/50 chance of surrounding you with those random hordes of zombies. Any time you land on a resource on the board, you have to stop for a random event card. Most of them are zombie attacks… I’ll let you guess how many… but some of them are checks against your resources, or number of followers. But don’t think that just because you have played Zombie Tron-cycle the whole game and have stockpiled an army of followers carrying an arsenal of food, gas, and ammo with you that you can just waltz through the random event deck. Oh, nononono….. some of the events punish you for having too much stuff or people or not having un-healed damage. I’m randomly ending this review. For those tired of teaching Catan and Carcassonne, Fresco is a good, simple eurogame that can be explained easily to non-boardgamers. 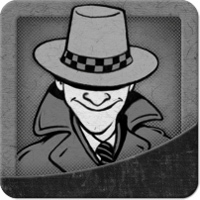 The game uses secret worker placement and an ever-changing turn order to collect and manage resources with multiple goals and paths to victory; everything that makes Eurogaming fun, but in a manageable way. The game comes with 3 expansions, none of which are too complex to throw in even on the first game. I would argue the game description’s claim that any of them lengthen the game. The Portraits expansion almost always ends the game earlier with a set turn limit. There is no strategy in this game at all. You buy whatever you can, and pray that some combos happen on their own, because you can’t plan even a single turn ahead. Cards become available for only as long as your opponents will ignore them, and even if you get something you want there is no guarantee you will ever see anything that will work with it. Perception is key in Airlines Europe; if you clearly dominate a single stock your opponents will either ride your coattails or let you do all the work on your own. Make sure you have at least some influence in each stock but not enough to challenge their lead unless you can take it decisively, then let your opponents do the heavy lifting of raising the dividends. Only place single airplanes to get stocks in hand and make sure anything you place raises the payouts a step. Going first is incredibly important in Macao. Spend a turn or two gaining a sizable lead on the wall, early if possible, which will discourage opponents from chasing you later. The building/person deck combos are gamebreakers, and having your pick of them or at least the chance to break up those combos, is a life and death matter. You also will get your choice of city locations and wares to deliver. Innovation can be particularly horrible to those who have fallen behind. If you don’t get a fast scoring mechanism, spend a turn or three building up a hand of options. You will go through the ages faster this way, unless your opponents have a lot of discard/return powers. This will also help you to get more powerful options rather than fighting a losing battle for symbols you are already behind in. You will be free to drop a much more powerful ability while your opponents have to decide what to upgrade. Walking Dead is pretty random, but you can mitigate that a bit by wandering around the edge of the board collecting resources and hopefully some party members before going for the win. Wandering the edge of the board makes sure your zombie trail doesn’t bite you later on. Building up resources and party members helps you to survive the tougher encounters and when you do have to cross the stream of zombies. Unless you have botched a roll while trying to gather energy and rolled a truly devastating attack, stay out of the line of fire if possible. The ability to heal and build up some upgrades more than make up for the damage you can deal and the few VP you are picking up every round. You will take hits from everyone else trying to get in, then spend the next few rounds trying to recover from the experience. Watch when your opponent(s) scroll through the contracts and equipment sellers. if they scroll past something you need and want, make a break for that city to get it. players will sometimes scroll back and forth spending turn after turn scouting for you. While you can’t stack the deck on equipment, you can on contracts. Don’t be afraid to snag contracts you don’t really need to stop other players who concentrate on a single color. They will scout the entire deck for you looking for their planned monopoly. Cylon brothers: Avoid the temptation to build massive assaults on the Fleet board without observing the human jump timers. Unlike in the past when our fleet had to scatter when sensors lost the Human refugees after they jumped, we now can track their movements and time our assaults with precision. Forcing the humans to jump away from an assault is no longer as critical as keeping a constant threat on them. At the least, you will occupy many of their leaders as you build your next assault. If you are lucky enough to have a well placed sleeper among their limited pilots, reveal that advantage quickly. There is very little a Cylon pilot can do to hide his nature in space, and you will be forced to damage our fleet while maintaining your cover. The most damage you can do to the humans is to reveal and rid them of a vital role in their defense. Unlike the presidency or admiralty, your role cannot be replaced easily by the humans when you take your place to command the Cylon fleet. Avoid the heavily contested starter areas on the map and look for longer chains of connections or ways to block in those cheap starter areas. Ex. on the Kores map everyone jumps on the free connection city blocks, and doesn’t look at how much it costs to get out of that area, or how easy it is to block them in. The east coast is a better start than the central free cities because you have an escape plan and a fast track to block out those players competing for the cheap start. By the printed rules, leftover money scores 1VP per 2$. If played this way, an income only strategy almost always wins. To correct this, change the rate to 1VP per 3$. This makes money still valuable at endgame, but not dominant.